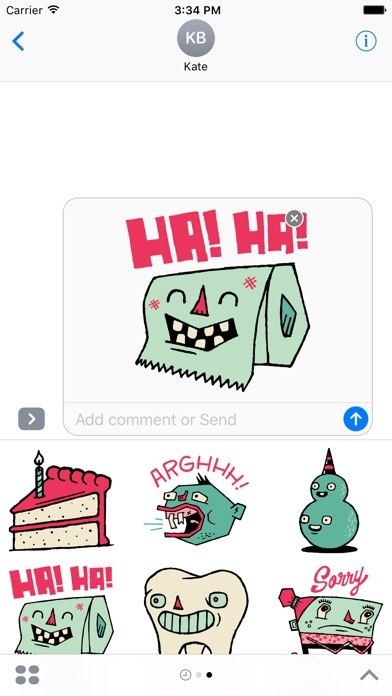 Nyan Cat Animated Stickers are here! 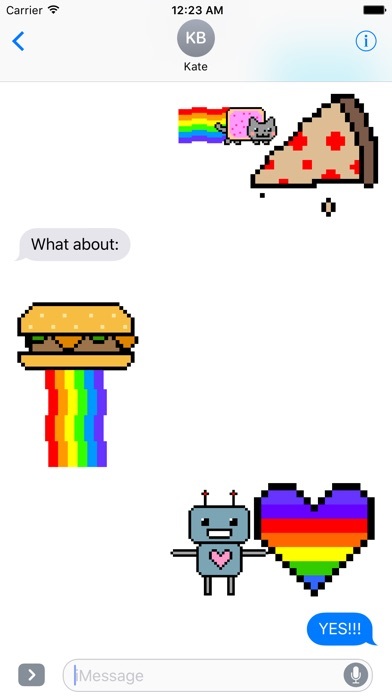 47 all-amazing Nyan Cat stickers to impress your friends and taunt your enemies! 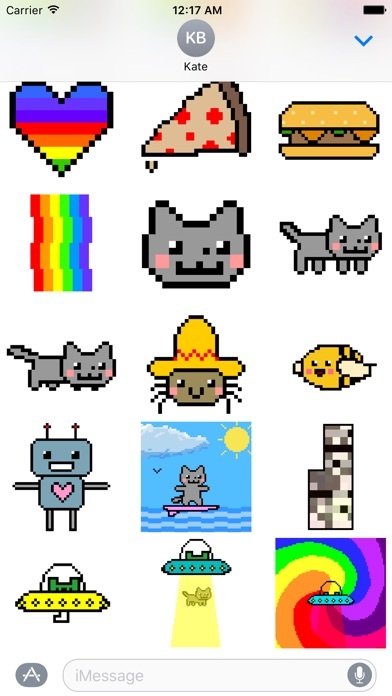 Have nonstop fun with the wild world of Nyan Cat characters in the palm of your own hand! 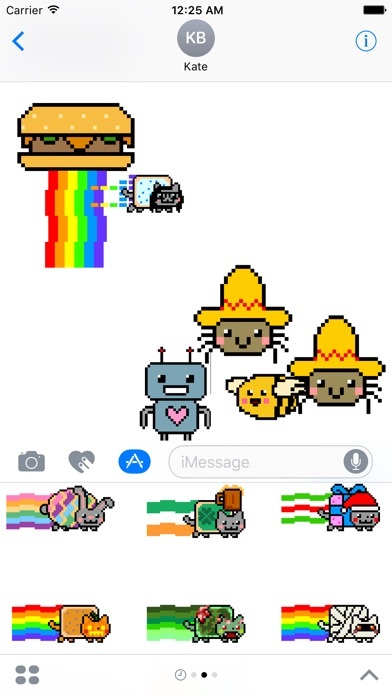 This is the FIRST officially licensed Nyan Cat sticker pack from Nyanify, Inc., and possibly the last sticker pack you will EVER need!!! 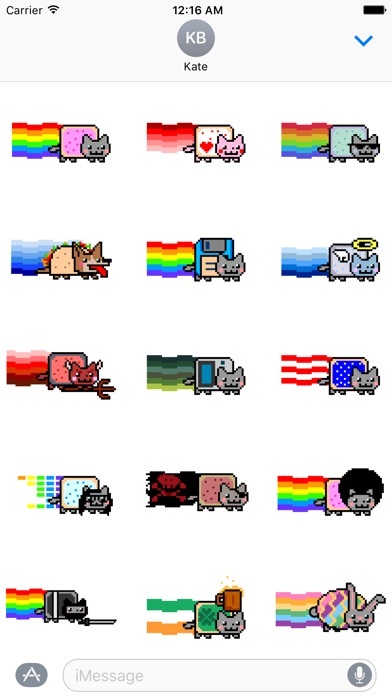 It's Nyan-tastic! 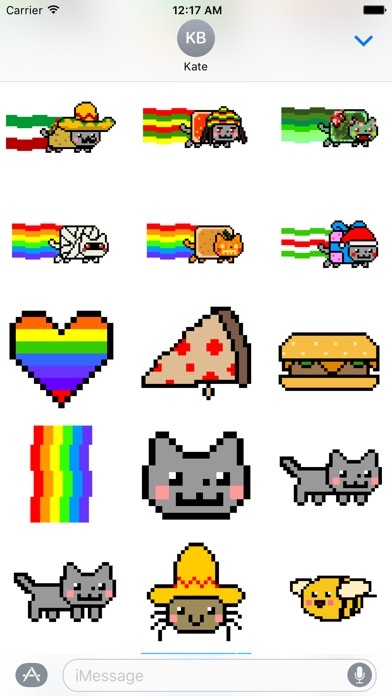 What Nyan Cat Stickers do you want to see??? Let us know in the ratings!!! 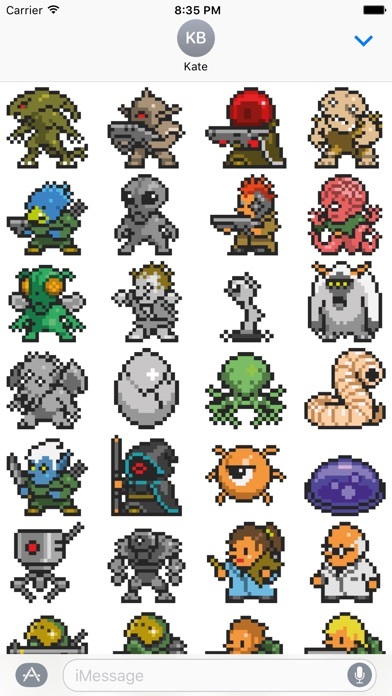 Release Notes: A ton of new Nyantastic stickers!